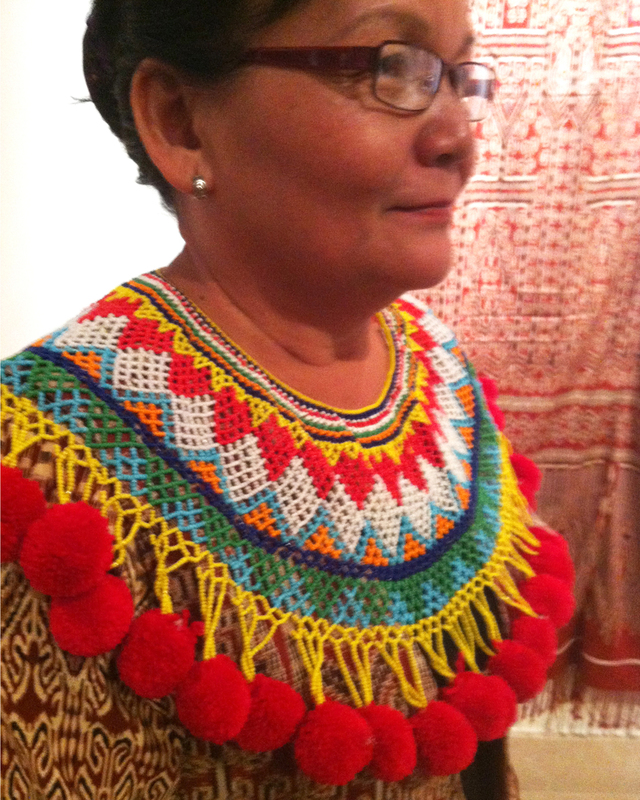 Pua Kumba Weaving in Marik Empang! 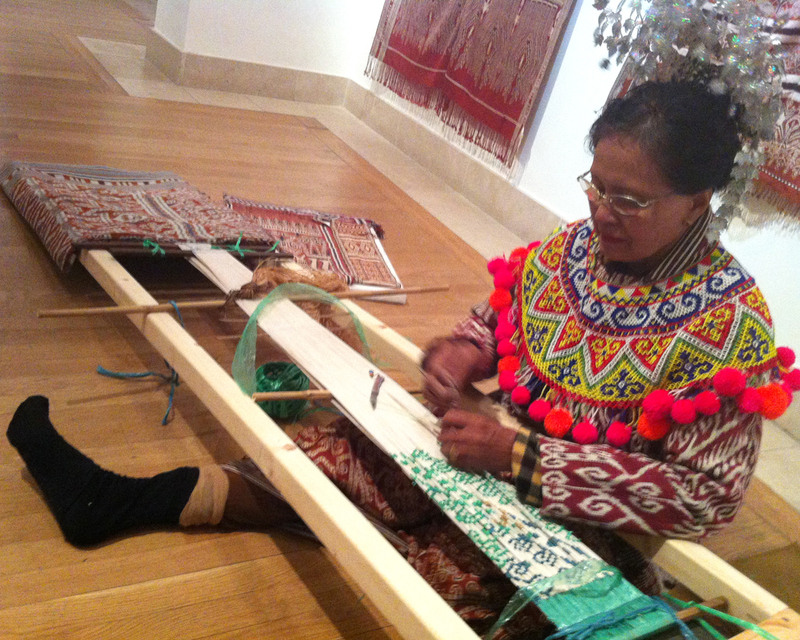 Endangered Textiles taking place at the Brunei Gallery in London. Here’s the process of the warp preparation – hundreds of white silk threads being tied with lengths of plastic rather like tie-dye – in order to prepare the weave to make a jacket or skirt. 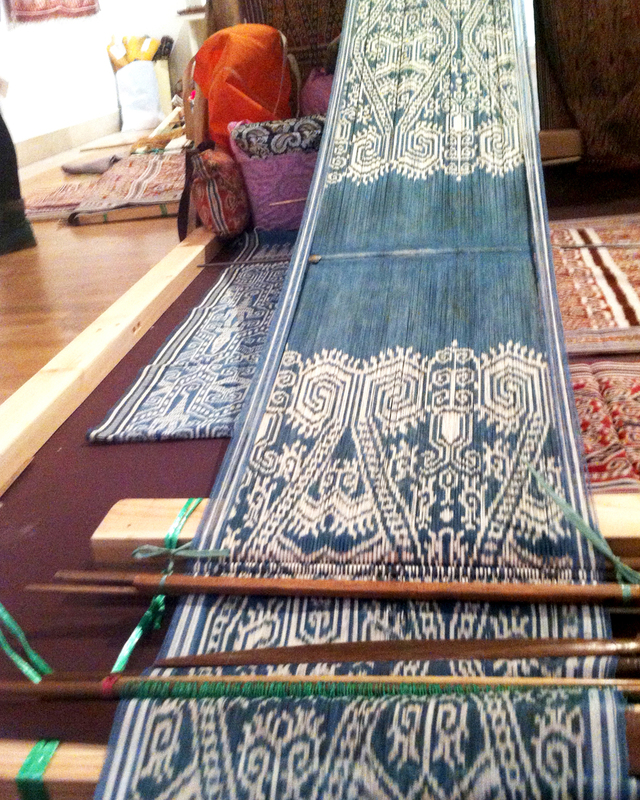 After all those white threads are dip-dyed in indigo they are set up on a back-strap loom ready for weaving. The whole process takes between 3 to 5 months! For more information on the process, there’s a great introductory article in the wonderful Hand Eye magazine.